Pio Abad choreographs these things and the tales animating them to initiate a critical conversation on the discourses of singularity, surplus, and semblance. He looks at them as traces of something sordid, a body of evidence that exhibits morbid symptoms of a possible psychopathology of power. LOOB by RENATO HABULAN and ALFREDO ESQUILLO JR. is at the West Wing and Lobby galleries on July 22 – August 22, 2014. Artists talked about their works on the opening day at 4:30pm. Exhibition is in cooperation with Tin-aw Art Management, Inc.
UKKIL AT SUTLA is at the North and South Wing galleries (third floor) of the museum. This exhibit is in consonance with the 2014 celebration of Eid’l Fitr. The exhibition is presented with Magbassa Kita Foundation, Inc. through the 2014 Eid’l Fitr Festival Committee and Philippine Center for Islam and Democracy, and supported by Department of Tourism and UP Alumni Association. BREAKING FAST is the dialogic exhibition to UKKIL at SUTLA. Breaking Fast is at the Vargas Library until August 30, 2014. 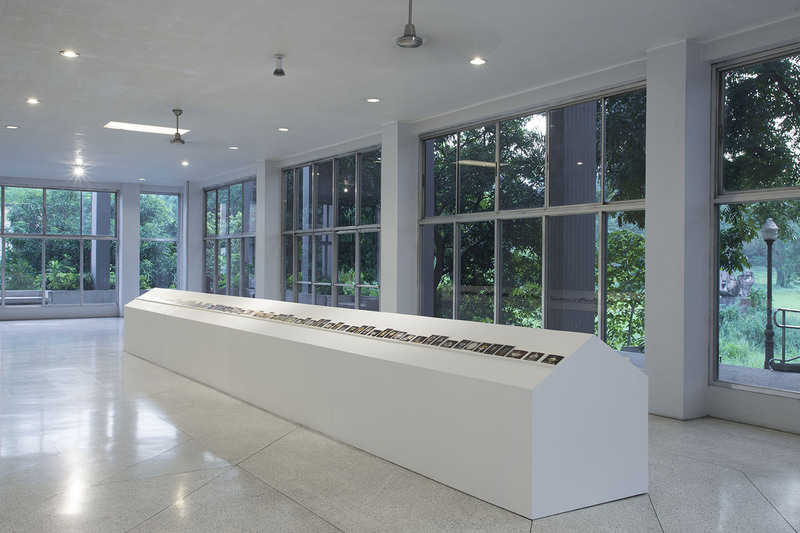 It features rariora, news clippings and other actuality objects from Japanese Occupation and Commonwealth periods. For more information please call at 928 1927 or 981 8500 local 4024 or send an e-mail to vargasmuseum@gmail.com. We can provide upon request a copy of the application form or you can download it here. Please send the set of requirements listed above to Exhibit Proposal, Jorge B. Vargas Museum and Filipiniana Research Center, Roxas Avenue, University of the Philippines, Diliman, Q.C.